Some may assume I feel most at home in a big city surrounded by cultural events, fantastic architecture, and sleek, up-scale restaurants. But once in a while, I like to experience a more simple life and get re-connected with nature to soothe my soul. 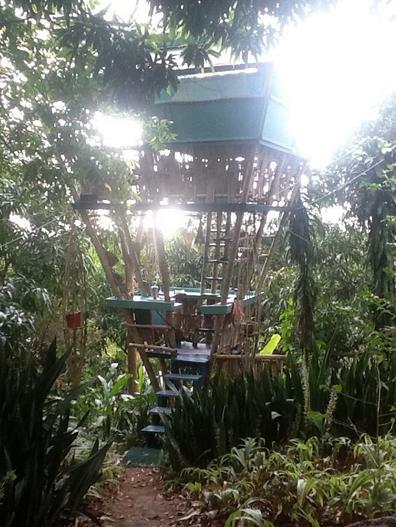 About a month ago when I was in Russia on a cultural exchange, I met dozens of talented people, including one of the developers of the Bamboo Treehouse hotel in Puerto Rico, who invited me to visit his ecologically friendly resort. I decided to accept his generous offer and recently flew to the island for a unforgettable tropical adventure. 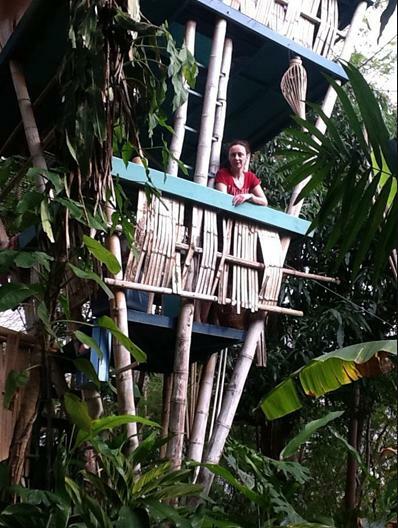 I stayed for four days at the resort in a treehouse. There was a tiny outdoor kitchen and my bedroom was made with bamboo walls. In Chicago, I have a bathroom that’s almost as big as my bedroom with two sinks and a luxurious bathtub. Here, I was using an outdoor shower powered by solar energy. And every morning, I brewed my own coffee on a small stove that I lit with a match ― quite a change from my luxury espresso-maker back at home! 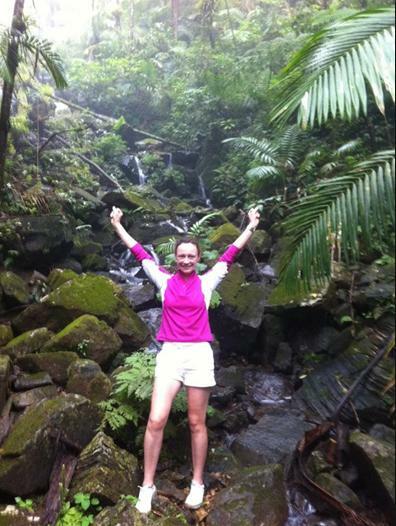 It was truly exhilarating to go hiking in the rainforest and see the amazing waterfalls and vegetation. I loved falling asleep to the sounds of the Couqi frogs and waking up to see the sunrise. While I was there, I also met with the consulate general of Russia in Puerto Rico and a member of Puerto Rico's governor’s office as another way of serving as a cultural ambassador around the world. Puerto Rico was more beautiful that I ever imagined. I hope I have the opportunity to visit again some day!